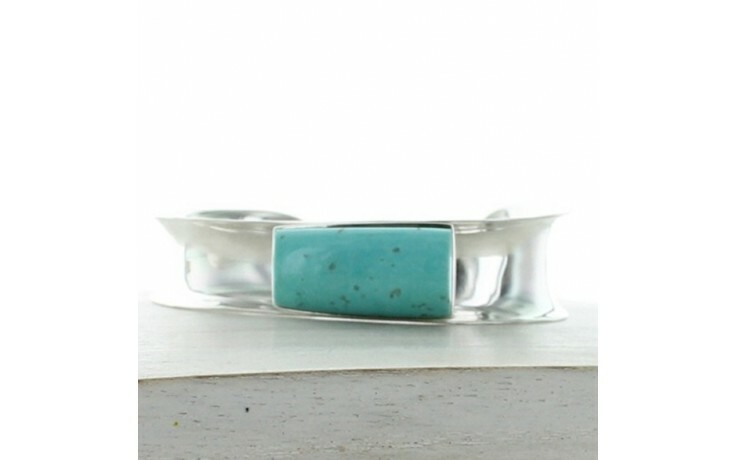 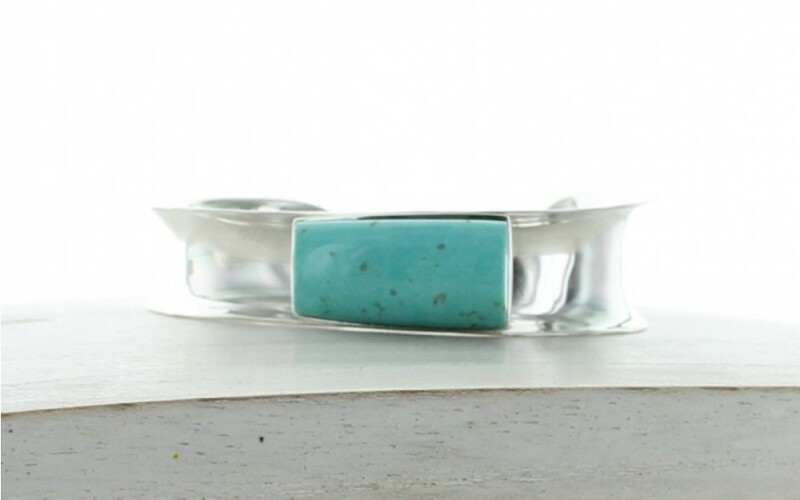 Sonoran Blue turquoise is known for its sky blue color with delicate white matrix. 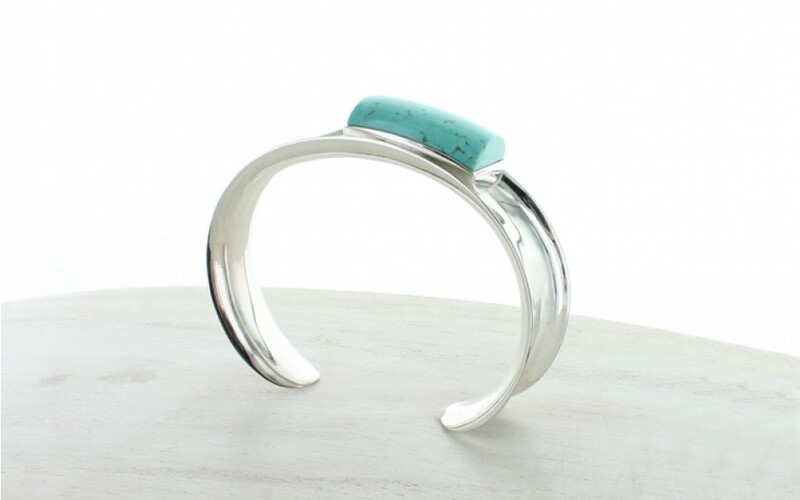 The stone is cut in a freeform rectangular shape, approximately 25mm x 13mm, and set in a stylish yet simple grooved sterling silver cuff. 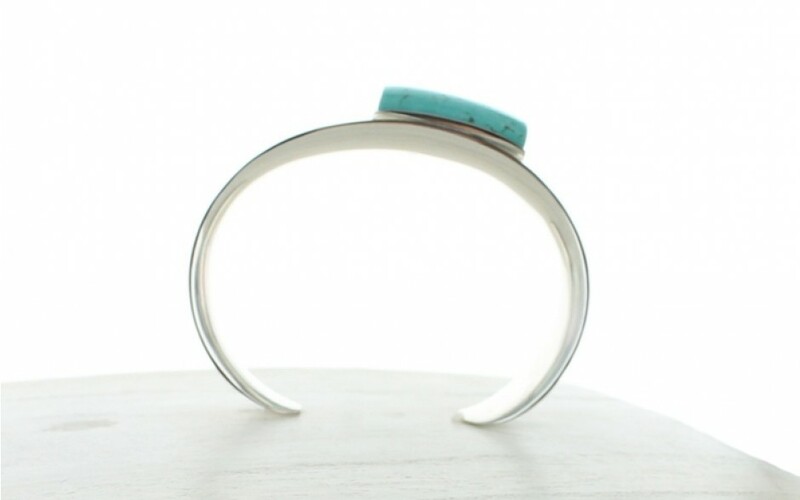 The cuff measures 6 3/4" long by 11/16" wide.